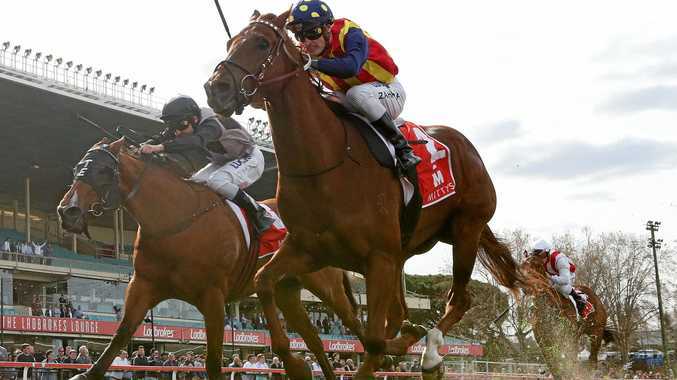 NATURE Strip, the exciting Victorian sprinter, has been confirmed as a starter in the $13 million The TAB Everest. 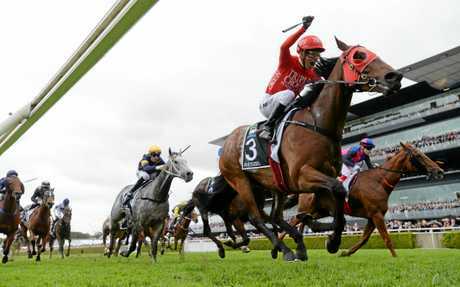 Slot-holder the Australian Turf Club, Nature Strip's syndicate of owners and trainer Darren Weir have reached an agreement to start the sprinter in the world's richest turf race at Royal Randwick on October 13. The deal was done after Nature Strip won the Group 2 McEwen Stakes (1000m) at Moonee Valley last Saturday, albeit narrowly but in track record time. The announcement of the deal was confirmed on Tuesday. "We are delighted to bring another dimension to TAB Everest with a sprinter of the promise of Nature Strip,'' ATC director Phil Morley said. "ATC had great success with the Darren Weir stable in last year's TAB Everest and we again look forward to joining with him to promote our racing and the world's richest race on turf. As part of the ATC's slot partnership, a percentage of prizemoney earned from TAB Everest will be donated to a worthy cause through the ATC Foundation. Nature Strip is the 11th horse selected for The Everest, leaving slot-holders Max Whitby and Neil Werrett having to choose their sprinter to complete the field. Weir declared Nature Strip the "fastest horse I've trained" after the four-year-old ran the Moonee Valley 1000m in a brilliant 56.95sec and held off the late surge of Houtzen, with Everest runner Shoals nearly four lengths away third. "There will be people querying (Nature Strip) at 1200m but with this under his belt and another good, solid run in the Moir Stakes, I think we'll be right,'' Weir said after the race. Nature Strip, who has won eight of his 11 starts including his last four in succession, is at $6.50 in early Ladbrokes' fixed-odds betting on The Everest. Redzel, last year's inaugural Everest winner, is the new favourite at $4.50 after Trapeze Artist eased to $5 after his third in the Theo Mark Stakes behind Home Of The Brave. Trapeze Artist shouldered 61kg first-up on a heavy track and his effort to close late for third pleased jockey Tye Angland and trainer Gerald Ryan. Home Of The Brave has emerged as a candidate for the final Everest slot, with the Godolphin sprinter firming to $16. Meantime, Coolmore Australia's Tom Magnier has confirmed champion jockey Ryan Moore will ride US Navy Flag in The Everest.